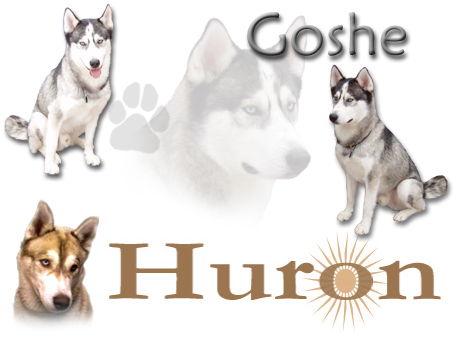 Goeshe and Huron, now called Shay and Cheyenne, were adopted out together on June 2, 2007. They lived together in their foster homes for three months and really enjoyed playing with each other so it was really nice that they found a home together, although it was evident that they were going to be a bit of a handful their mom and dad loved them both so much that they were ready for the challenge. Shay and Cheyenne’s mom is happy to report that Cheyenne’s (Huron) eyes are doing great and he is down to just a few drops a week. Here she writes about the boys escapades. As for the boys, they are doing fine. Cheyenne is a good boy, the first, usually to settle down although he will initiate the play period on his own as well. It's interesting to see them with each other's hair in their mouths, especially Shay since Cheyenne is so fuzzy, when they do play (and play is an understatement!) with each other. When we are upstairs and they are together in the kitchen we hear some scuffling and then heavy banging as they bounce off one wall to another. The other day I walked into the kitchen to try to stop the very spirited activity and the picture was so comical - Cheyenne was leaning over Shay's back, with his back to me while Shay was moving a mile a minute carrying Cheyenne with him. Another time I saw them from the hallway as they passed through from the kitchen to the front door. Cheyenne, I believe was walking away from Shay (trying to get some peace) with Shay hooked onto his back leg. When I do try to break up the play as being a little too much for indoors, Cheyenne will sometimes hear me coming and break away as I arrive and lie down or leave the room as if to say: "who me? I didn't do anything - it was him; I've just been lying here quietly." Cheyenne will also often indicate his preference to remain in the family room instead of proceeding back up to the kitchen after they come in from the yard. Again, I think that is to get some respite from Shay. On one such occasion, I discovered that Cheyenne had developed quite an interest in reading, as he had managed to remove a magazine from a basket (without disturbing the pile of magazines from which it was removed I might add, as nothing seemed out of place) and ripped it to shreds. Both have beautiful singing voices and I note that, when they are both first placed in their crates and think they are alone, will engage in a wicked howl in. Once I slept in and they were in their crates, not only did they howl in when dad first left but periodically communicated with each other over the next few hours. I finally got up and ran down to the family room thinking they would be in a tizzy but they were lying down and just singing along. They harmonize very well. The boys appear to be good with strangers and accepting, at least Cheyenne is, of other animals. Shay has not yet been tested in that regard. They are a big hit at daycare every two weeks where they are referred to as "the boys."